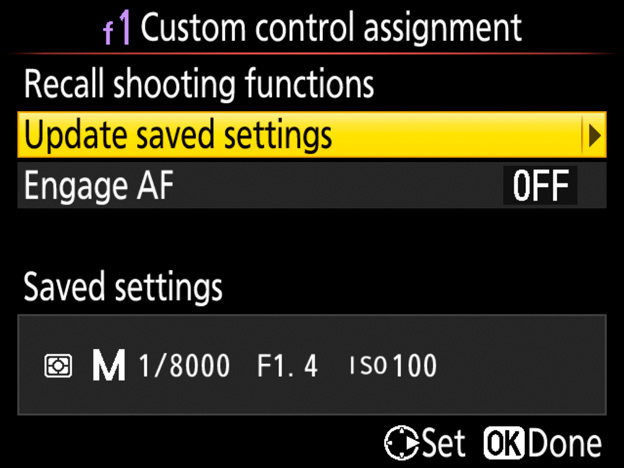 Holding a control to which Custom Setting f1 (Custom control assignment, see this section) > Recall shooting functions is assigned recalls previouslysaved exposure settings, letting you (for example) switch instantly between fast and slow shutter speeds. 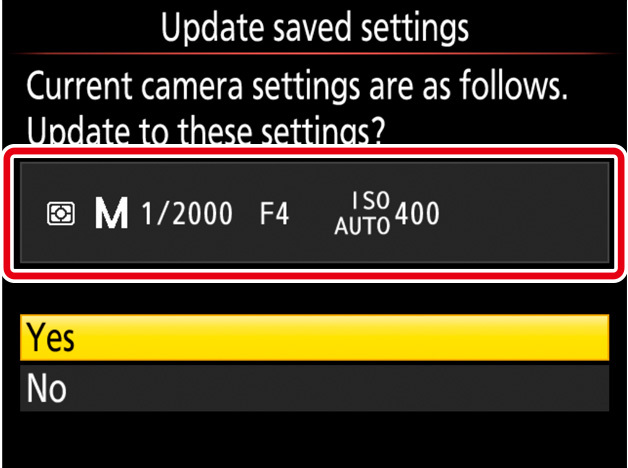 Choose an exposure mode and adjust ISO sensitivity and other exposure settings as desired. In the Custom Settings menu, select Custom Setting f1 (Custom control assignment), then highlight the desired control and press . 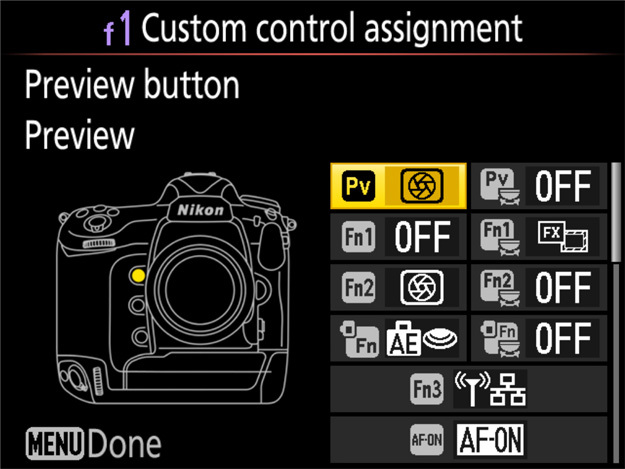 Recall shooting functions can be assigned to the PV, Fn1, Fn2, or AF‑ON button, the center of the sub-selector, the lens focus function buttons, or the AF‑ON button for vertical shooting. Although Recall shooting functions can be assigned simultaneously to more than one control, the camera stores only one group of settings at a time. 3 Select Recall shooting functions. Highlight Recall shooting functions and press . 4 Select Update saved settings. Highlight Update saved settings and press . 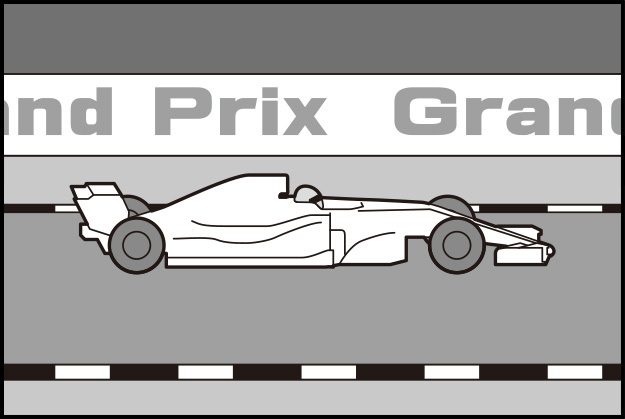 A confirmation dialog will be displayed; highlight Yes and press to save the settings in effect in Step 4. Changes made while the confirmation dialog is displayed will not be reflected in the settings saved in Step 5. To edit the settings before they are saved, highlight No and press to exit the confirmation dialog and return to Step 4, then make the desired adjustments and select Update saved settings again. 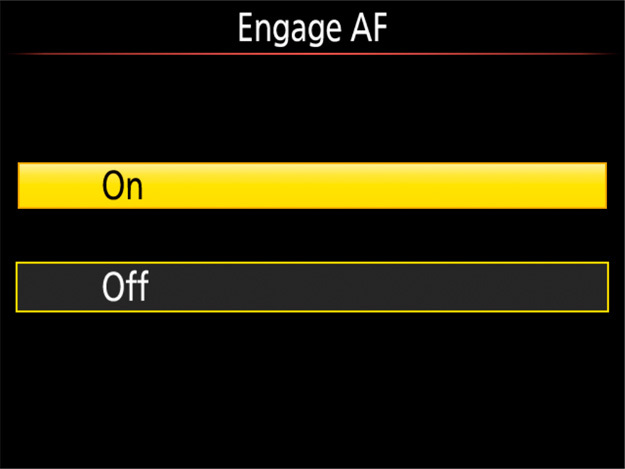 If On is selected for Engage AF, the camera will focus when you press the selected control to recall the saved exposure settings. You may find instant exposure setting recall helpful in the situations below. 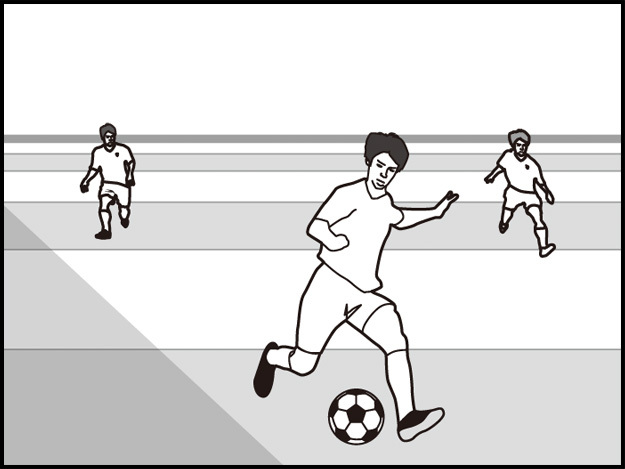 In soccer stadiums, ballparks, and other outdoor venues where some areas are sunlit and others are in the shade, you may find it convenient to save the settings for the latter as described in the preceding section. 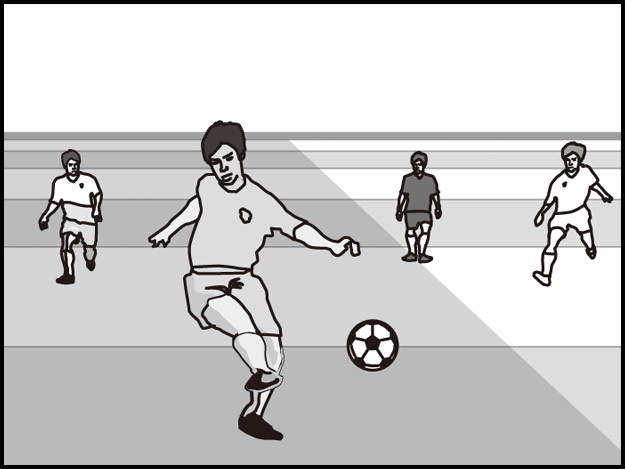 You can then recall the settings at the touch of a button as your subject passes from sunlight into shadow. 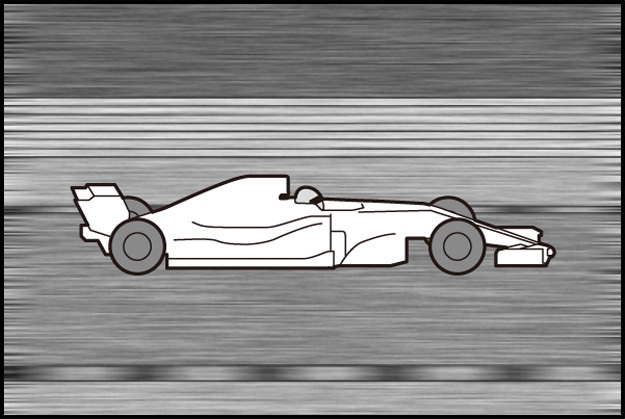 When photographing race cars, speed skaters, or other fast-moving subjects speeding by, save a slow shutter speed for instant recall during panning shots. 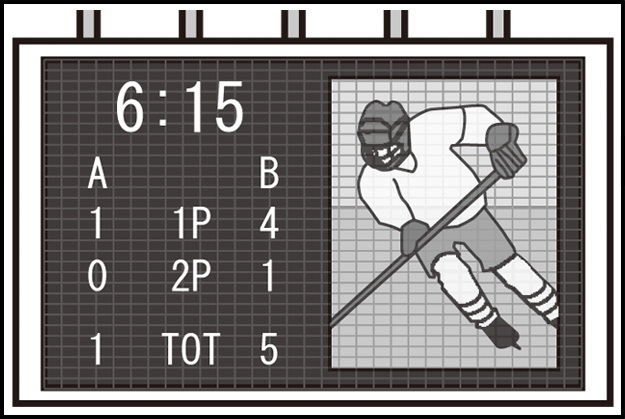 At indoor events where you find yourself frequently photographing a brightly-lit electronic scoreboard, you can a save a slow shutter-speed setting for the scoreboard shots. 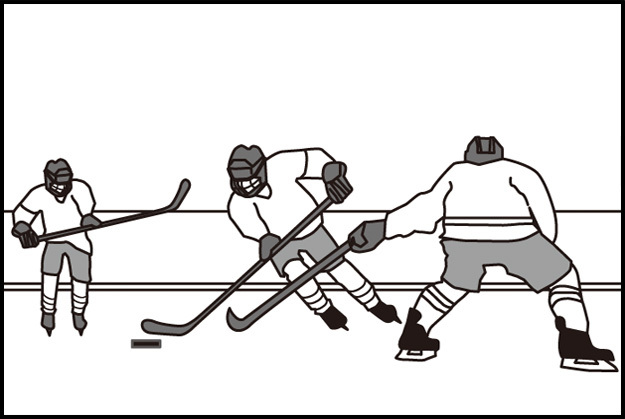 For quick silhouettes, select highlight-weighted metering for the saved set. You can then choose matrix metering for normal shots and use the button to switch briefly to highlight-weighted metering for silhouettes (sample settings shown). If you normally shoot in exposure mode M, adjusting settings as you go, but from time-to-time would like to briefly put the camera in charge, you can save settings with P, S, or A selected for exposure mode and auto ISO sensitivity control (see this section) enabled. You will then be prepared for unpredictable changes in exposure, such as those caused by clouds blocking the sun or changes in interior lighting. If you frequently change between two lenses that require different exposure settings, you may find it convenient to save the settings for the secondary lens. If you switch lenses and then save exposure settings without first changing the aperture, you may find that the stored value is not supported by the lens. For example, if you set aperture to f/1.4, then attach a new lens with a maximum aperture of f/2.8 and save exposure settings without first adjusting aperture, the saved settings will have an aperture value of f/1.4. This is not a malfunction. 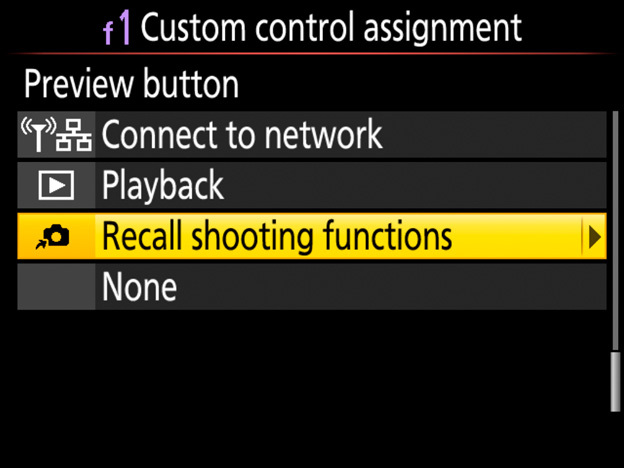 Recall shooting functions can also be assigned to an optional wireless remote controller using the Assign remote (WR) Fn button option in the setup menu.